A complete catering service for all events has been announced by Flathau’s Fine Foods, contactable on: 601-582-9629.The Petal, MS based company are creators of award winning gourmet foods. Flathau’s Fine Foods has sent a reminder that they provide catering services to the South Mississippi area. The award winning food experts create their own range of gourmet treats with delicious lunch specials. Petal, MS based Flathau’s Fine Foods is a locally owned and family run gourmet food company that has a passion for great tasting food. They believe that the right blend of high quality ingredients creates the perfect gourmet experience for any occasion. 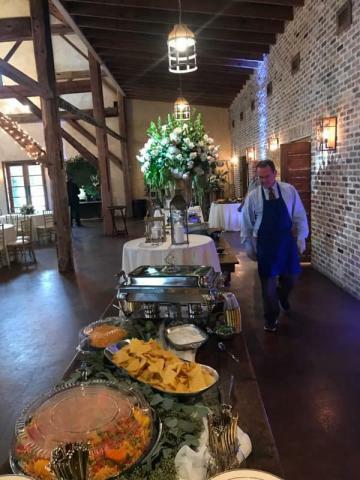 Flathau’s Fine Foods offer a complete catering service for any type and size of event, serving Hattiesburg, Laurel, Meridian, Columbia, Wiggins, Jackson, Lucedale and the entire Gulf Coast. There full menu offers a range of breakfast, brunch, lunch dinner and cocktail party options. The breakfast and brunch menu features classic such as Canadian bacon, buttermilk biscuit, eggs cheese grits and freshly brewed coffee among many other items. Their dinner menus cater for all tastes and Atlantic salmon, Mexican cuisine, Italian feasts, pork loin, fried catfish dinners, prime rib dinners and BBQ options are all available. Side salads, desserts and ice tea is included with all menus. Their cocktail buffet menu features all of these flavors and styles of cuisine plus much more, including sandwiches, fresh fruits, crab claws, cheeses, and a selection of dessert options. These include shortbread cookies, dessert shooters and brownies. The company is also known for its range of gourmet treats. They specialize in creating Snaps shortbread cookies with a candy crunch. Their range of flavors includes peppermint, key lime and cinnamon. Their products have gained international recognition and have appeared at some of the most prestigious food shows in the United States. They are also silver winners at the Sofi Awards for their All Natural Shortbread Cookies. Those wishing to find out more about Flathau’s Fine Foods and their catering services can visit the website on the link provided above. They can also be contacted on: 601-582-9629.